Renowned restaurateur, Mike Hussain, founder of Ayesha Group, and “Godfather” of four successful authentic Indian restaurants in and around Miami, FL, has exquisitely expanded his vision and versatility to fuse Indian and American cuisine, finessing Florida’s finest, most succulent seafood with flavorful spices of India at Saffron@Grove in Coconut Grove, FL. 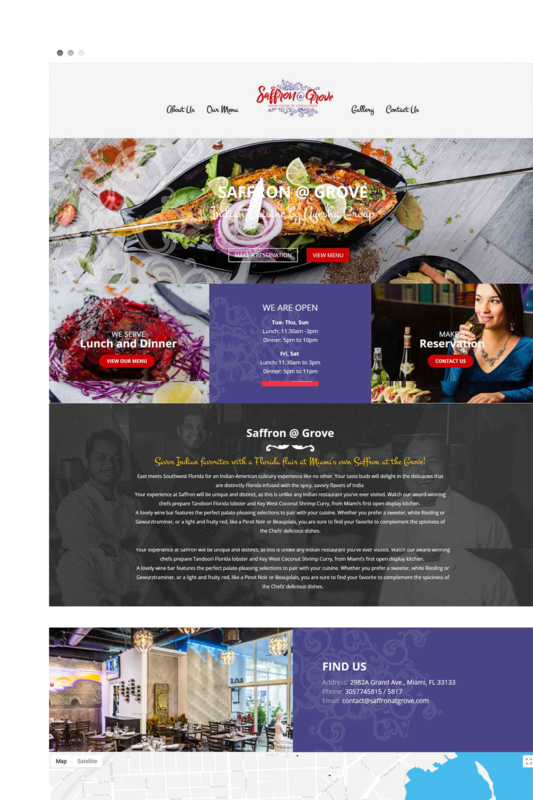 A restaurant of this caliber required a signature logo and a spiced-up website to properly reflect the fabulous flavor of the newest Indian/American restaurant in Miami, FL. A professional photo shoot at the restaurant featuring models provided delicious images of their unique cuisine and flamboyant facility, which is truly rich with color and culture. An internet strategy has consisted of social media management and the creation of Facebook and Instagram pages. 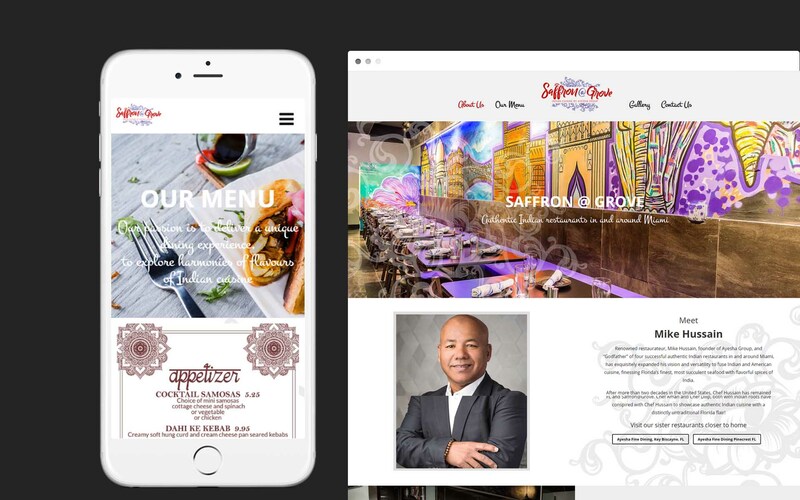 Regular posts to these platforms introduces a vast target audience to the newest Ayesha Group Indian restaurant in Miami. Periodic boosting of FB posts with minimal ad-spend dollars has extended the reach of posts to more viewers in Miami, and this entire hyper-cultural area of South Florida. We collaborate with ambitious people and brands. We’d love to work together with you on your idea. © 2019 KallistoArt Web Design.